Even though this documentary's director, Josh Johnson, has been gobbing-off and exaggerating about how I called him "creepy" for being yet another two-day follower on Twitter who appeared on my followers list, said nothing to me ever, and then unfollowed me just because I didn't follow him back simply for existing, I'm not Harry Knowles and will give "Rewind This!" a fair review. Yes, Josh, I know you'll read this and report back to your new clique of pretend friends, so enjoy your time here! For what it is, "Rewind This!" is an informative yet somewhat repetitive history of VHS. Interviews with several celebrities in the horror movie industry including Charles Band, Lloyd Kaufman, Frank Henenlotter, and Cassandra Peterson are mixed with nutty independent filmmakers and VHS collectors to good effect, but there are too many big names missing for it to be the "definitive" documentary on the subject. That tagline in the trailer has a Hell of a lot wrong with it! 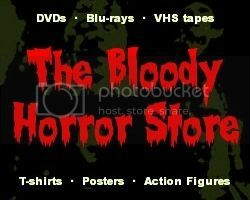 Where's Paul from VHScollector.com or any of the other YouTube collectors such as KandJhorrordotcom? They aren't in this anywhere, but one of the last "mom and pop" video stores and some amusing sadsack who gleefully films no-budget camcorder movies for his own amusement take up a good chunk of time which would have been better spent on interviewing more collectors. Why do that when what people really want to see is the tapes themselves, the novelty big boxes, and a more indepth look at how all the different distribution companies came and went? Where's the advice for new collectors from old collectors? And how can you let someone who stacks her tapes sideways by colour pass by without comment on her incorrect way of storing them? Arrrgh! Unlike the maker of this documentary, I was alive before VHS tapes existed and can enthuse a lot more about how they revolutionised the way we all viewed movies. These "90s kid" filmmakers are so spoiled by modern technology that they don't even know they were born! Sadly, it shows in such superficial presentations because of the lack of real life experience and research. Information such as how the Betamax phase was over before it began in Britain, or that PAL VHS rental boxes (in two different sizes depending on whether they were ex-rentals or sell-through) were plastic rather than the cardboard crap which the American NTSC tapes came in isn't even mentioned! I know you can't include everything, but that's exceptionally lazy considering that I know Josh regularly talks to a certain English VHS blogger on Twitter! Overall, I enjoyed the nostalgic interviews with the celebrities, but learnt precious little about the collectors or what they had in their collections. I got some entertainment but no joy out of "Rewind This! "; it gave me no incitement or renewed enthusiasm to start collecting again, and I actually felt quite alienated by its Americanness. There's also far too much emphasis on business in what appears to be an attempt to discredit the innovators for their opportunist capitalism, but maybe that's just how I naturally read things negatively. In fairness, I've also seen infinitely more famous people disgrace themselves on YouTube once the smoke and mirrors are gone. 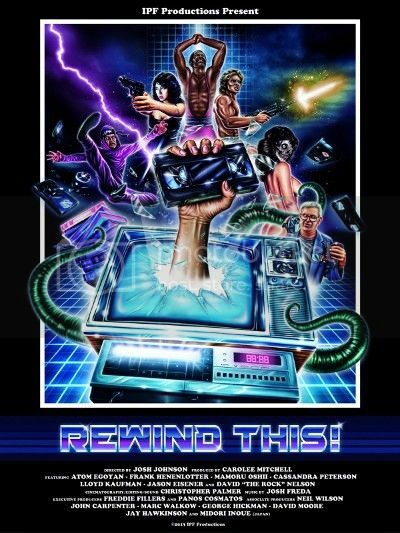 Thus, I came away from "Rewind This!" feeling like there's a much bigger story to be told, and there is. Fortunately, another documentary called "Adjust Your Tracking" is coming soon which promises to be better. It's still too early to tell whether either will be the "definitive" documentary about VHS, but collectors will probably buy both anyway.